A local producer and myself, the post production guy, ran into a very unusual Moire issue on a shot with a man wearing a moire susceptible sport coat and tie for an interview heavy production. We had given up trying the usual suspects, Beauty Box, After Effects, etc.in fixing this error that only made itself terribly apparent once the shot was placed into an edit system environment. Dermot Shane out of Vancouver, one of our DS-List artists, encouraged us to look into Nucoda’s DVO Brickwall filter, to see if that could fix it. One of the DigitalVision / Nucoda folks – Patrick Morgan, took a stab at one of our shots, and returned a perfect fix for our project. It looked identical to the ProRes master shot we sent to test, and when placed in an edit environment, and then output to a compressed format, the results were stunning with no remnant artifacts. Looking for a shop with Nucoda to repair 9 shots, running 15 minutes and 23 gig, Troy Thompson with Running Man Post in NY – http://www.runningmanpost.com/ – had a slot in his time schedule on the Friday before Easter no less. The shots were cycled up and down the internet pipes from North Carolina to NY and back over the day, and we have a tremendous save. Patrick and Troy ended up using several filters within the Nucoda Tool set and turned around a superb product. 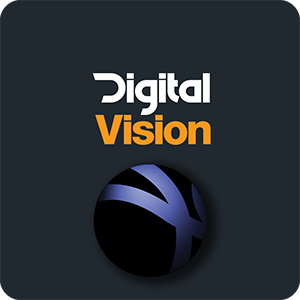 This has been a fantastic introduction to Nucoda / Digital Visions tools for us. Thanks so much again, Patrick, Troy and Dermot for providing the expertise needed to enable this project to proceed un-hindered by what could have been a nasty technical issue. Ken Peterson, DP / Owner, Silverlight Productions.